The geeky outfits you can buy off the shelf have a tendency to be t-shirts and maybe cosplay focused. 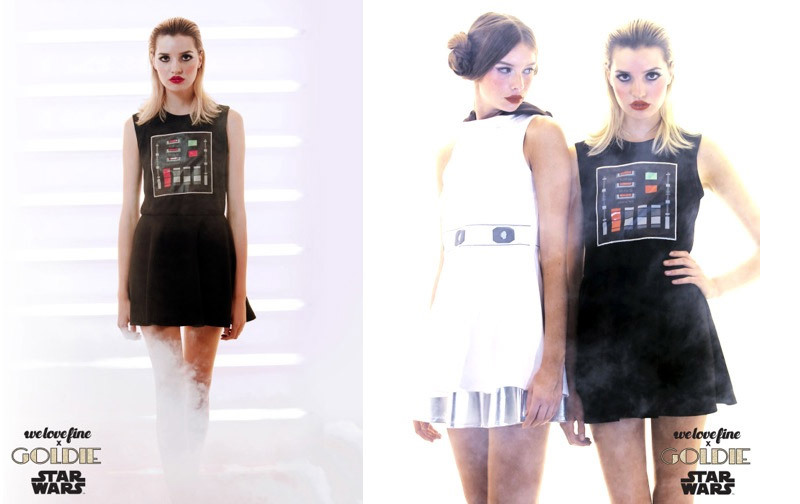 But this fashion collection is all about everyday wear for women who love Star Wars. 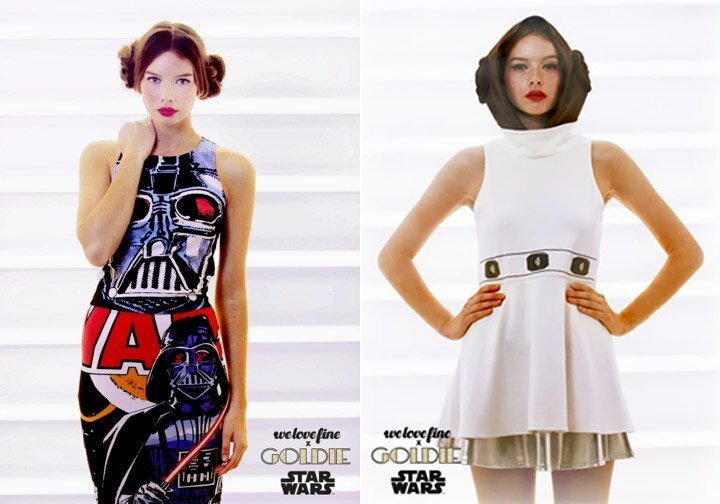 WeLoveFine collaborated with fashion line Goldie (which also happens to be the nickname of R3-S6) to create these contemporary pieces that all look great. The well-priced collection includes dresses, skirts, tank tops, leggings and more. We particularly like the Darth Vader skirt and tank combo. 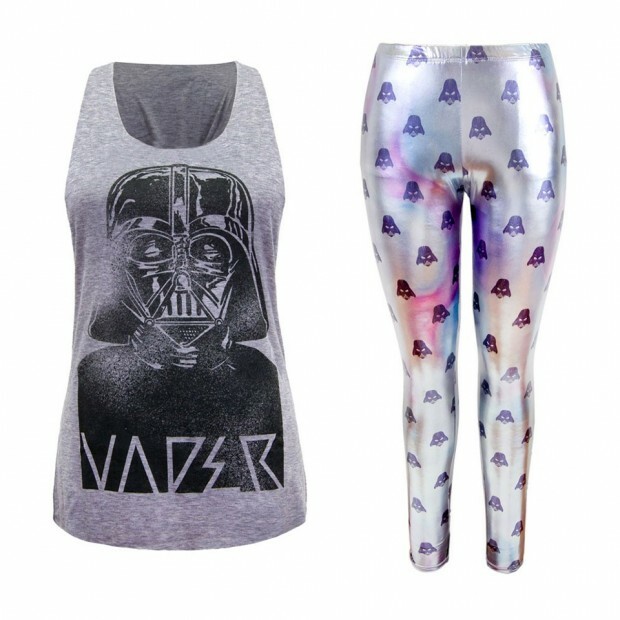 The iridescent Vader leggings and the Death Star Battle dress are pretty great too. 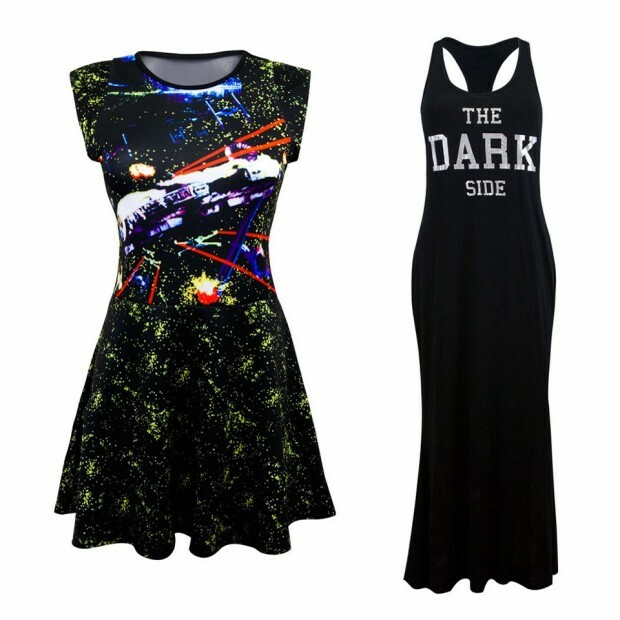 There are a number of pieces available for purchase on WeLoveFine already, but we don’t yet see the Darth Vader little black dress.